We offer unsurpassed customer service, along with professional consulting and design services, for one-of-a-kind award winning projects. We have experience and expertise in everything from historical restoration and landmark requirements to ultra modern designs. Our Crittall steel products feature unsurpassed weathering performance due to the standard hot dip galvanizing of all frames. Brombal uses cutting edge technology to fabricate all of their products. True artisans, who have worked with Brombal for over 40 years, have the skills and expertise to fabricate and weld brass, stainless steel, galvanized steel, and corten steel – providing unsurpassed quality. Our vast construction and architecture background allows us to work closely with specific design elements that are otherwise overlooked by inexperienced sales people. Our hands on installation experience allows us to troubleshoot issues before they arise by making sure no detail is left unturned. Our installers specialize in architectural steel window and door installations and have over 15 years of experience. We handle initial design and consultation, fabrication, glass and installation. Of course we are happy to work one on one with your installer and provide them with an installation manual and personalized assistance as required. 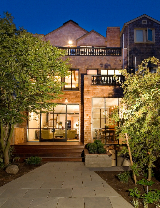 We work closely with the top performing manufacturers of steel, aluminum, and wood windows and doors. 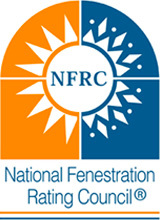 Many of our manufacturers have NFRC rated units which can be confirmed through the National Fenestration Council directory. We can also work with our network of nationwide glass vendors to provide the best performing glass available in your climate. 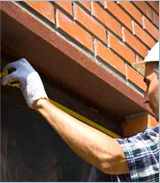 Utilizing a thermally broken frame with high performance glass will provide excellent U values.